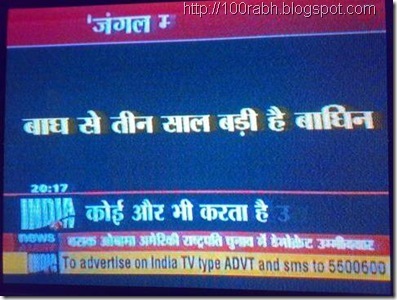 I some time ago wrote about the amazing news stories covered by some Indian news channels. 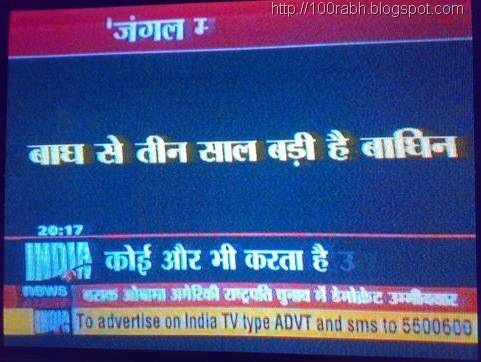 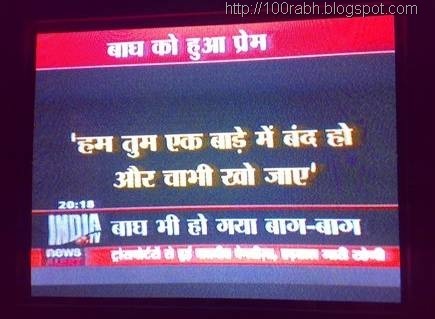 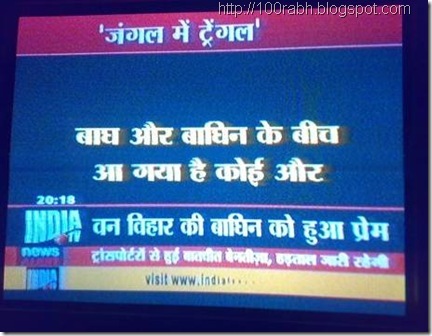 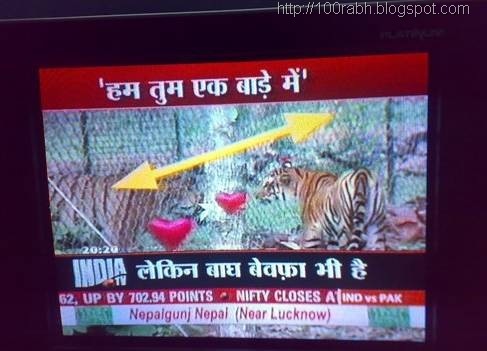 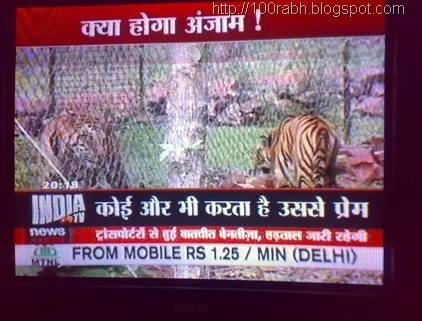 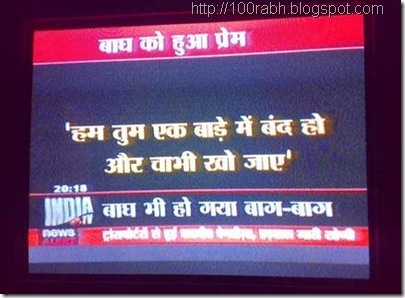 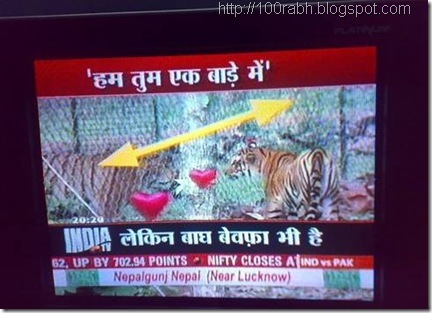 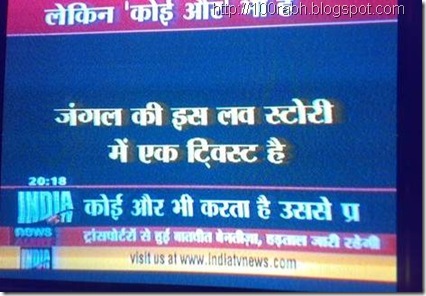 Now there is this amazing channel called IndiaTV, which will put any Indian to shame. 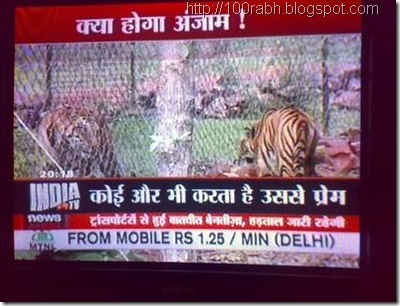 An awesome story that it was running of late. 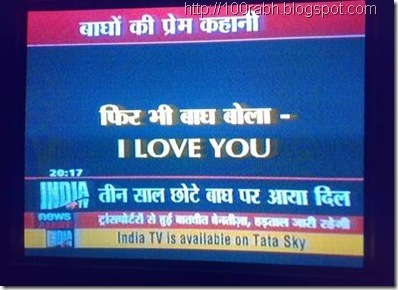 I think a picture is worth a thousand words. 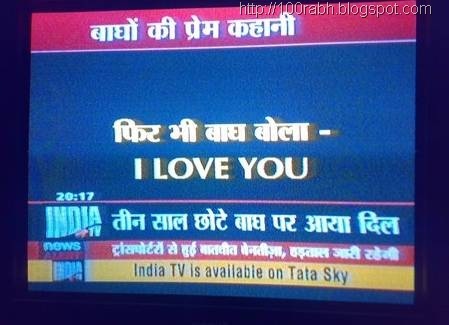 So..
woooo...that was solid proof...!! 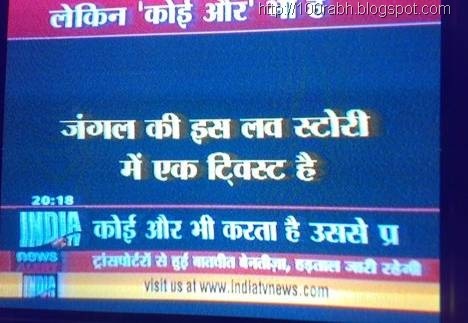 a flash back..."abhishek and ash marriage.."
"pratiksha ke bahar ped par log chad gaye hai...."